As apex predators, sharks are of ecological and conservation importance in marine ecosystems. 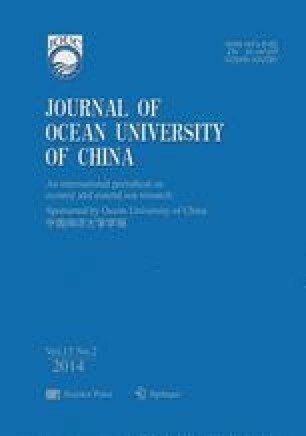 In this study, trophic positions of sharks were estimated using stable isotope ratios of carbon and nitrogen for five representative species caught by the Chinese longline fleet in the mid-east Pacific, i.e., the blue shark (Prionace glauca), the bigeye thresher shark (Alopias superciliosus), the silky shark (Carcharhinus falciformis), the scalloped hammerhead (Sphyrna lewini), and the oceanic whitetip shark (Carcharhinus longimanus). Of these species, oceanic whitetip shark has the lowest trophic level and mean δ15N value (3.9 and 14.93‰ ± 0.84‰), whereas bigeye thresher shark has the highest level/values (4.5 and 17.02‰ ± 1.21‰, respectively). The bigeye thresher shark has significantly higher δ15N value than other shark species, indicating its higher trophic position. The blue shark and oceanic whitetip shark has significantly higher δ13C values than bigeye thresher shark, silky shark and scalloped hammerhead, possibly due to different diets and/or living habitats. The stable isotope data and stomach content data are highly consistent, suggesting that stable isotope analysis supplements traditional feeding ecology study of sharks, and thus contributes to understanding their trophic linkage.